This line was about 27km long. It was commissioned in 1906 but not finished until 29th July 1923. Commissioning of the line was delayed as a result of a series of landslides on the line to Daluis further north. The line closed again only a month after opening because of an accident and finally re-opened in July 1924. There were two daily trains in each direction. The course lasted 2 hours and 40 minutes. 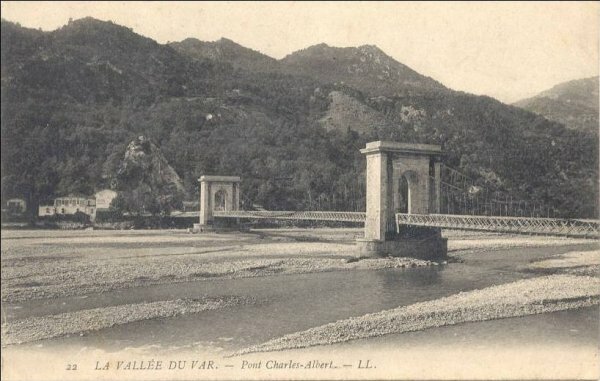 Pont Charles-Albert on the Var was the eastern extremity of the line and provided for connection to the Nice-Digne main line. 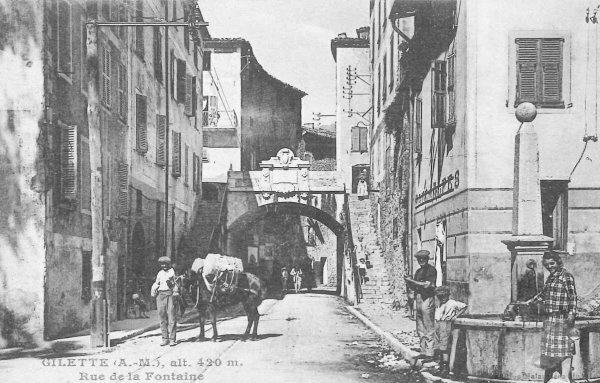 The picture below is of the original bridge which had to be rebuilt as it was not suitable for the tramway. 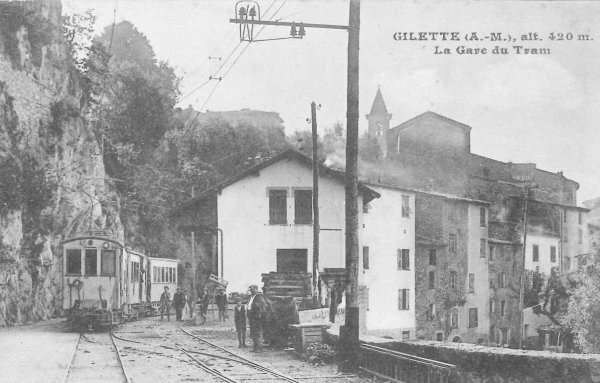 In the Village of Gilette the tramway followed the main street (la Rue de la Fontaine). 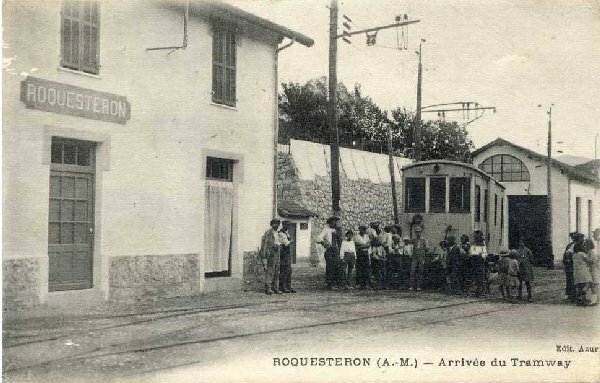 The tramway passed close to or through other villages on the route before reaching Roquestéron, the terminus. By the late 1920s the line was suffering low revenue and making a loss. The last tram travelled on 29th April 1929 and the line was decommissioned and track was removed the following year. ” Tramways of the Maritime Alps (TAM) and South-France “ – Magazine of Railways Regional and Urban – n ° 146-1978. ” Tramways of the Maritime Alps (TAM) and South France – Supplements “- Magazine of Railways Regional and Urban – n ° 150-1978. 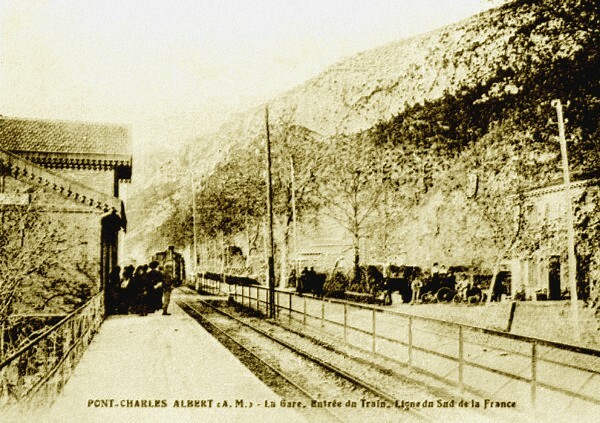 This entry was posted in Railways and Tramways Around Nice, Railways Blog on December 20, 2013 by rogerfarnworth.